Landscape-scale ecological protection of the Ecuadorian Chocó region. We aim to protect an area large enough to maintain populations of species with very large home ranges such as jaguar, harpy eagle, and great green macaw, among dozens of threatened species endemic to the Chocó. A key portion -- Río Canandé Reserve -- lies within the Tumbes-Chocó-Magdalena biodiversity hotspot and harbours 134 of the 212 species of amphibians and reptiles in the Ecuadorian Chocó region, the Critically Endangered brown-headed spider monkey, and the largest population of one of the rarest endemic tree species in Ecuador. In addition, as identified by BirdLife International, the Canandé Reserve is situated in the Chocó Endemic Bird Area, which has one of the highest number of range-restricted species (62) in the world. Furthermore, it’s also part of the Verde-Ónzole-Cayapas-Canandé (EC005) Important Bird Area (IBA). The reserve also harbours a number of globally threatened birds species, many of them found only in the Chocó region, including the great green macaw (EN), baudo guan (EN), and banded ground cuckoo (EN). 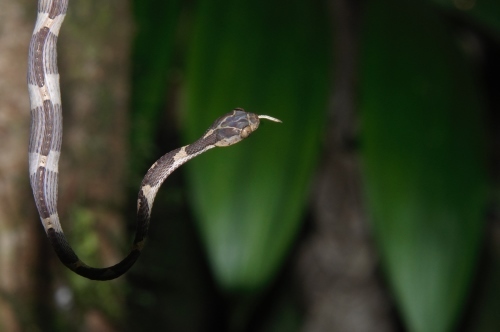 Our plan is to establish and maintain connectivity between the Pambilar and Cotacachi-Cayapas Reserves will ensure that species can move to higher elevations in response to global warming. See details below in the "In Depth" section. The Ecuadorian Chocó is a tropical forest frontier region where effective governance is insufficient to prevent rapid deforestation. 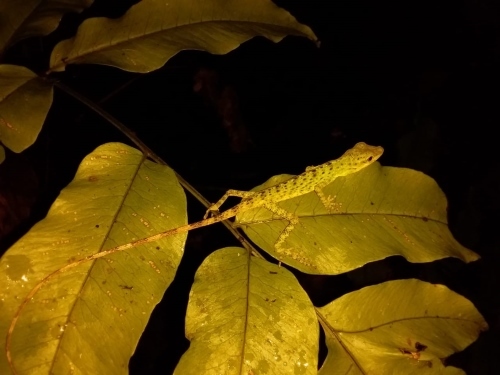 Less than 2% of the original Ecuadorian Chocó lowland forest remain,but enough remains to allow long-term ecological sustainability, if protected. 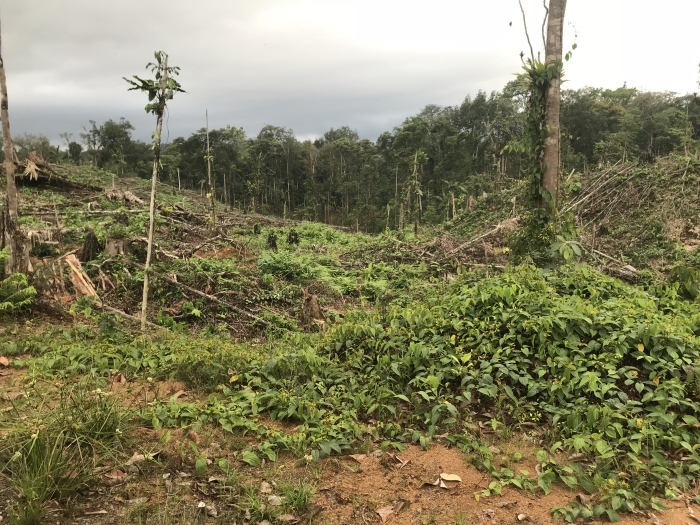 The main drivers of deforestation include timber extraction, road construction and resulting colonization and forest clearing; and large-scale oil palm plantations. 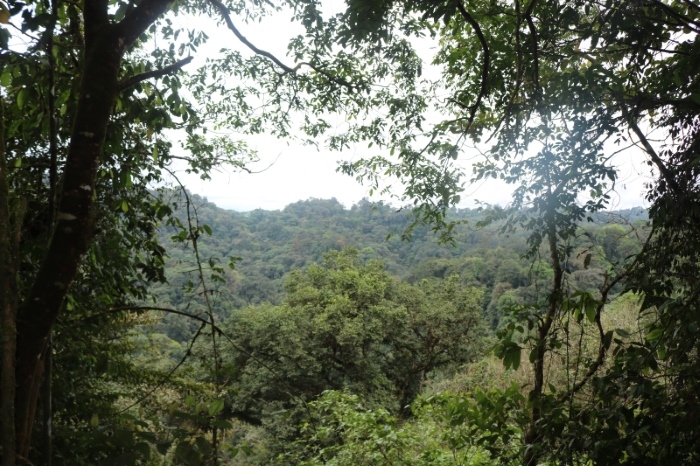 The largest remaining forest tract in the Chocó region is within and around the Cotacachi-Cayapas Ecological Reserve—part of the Ecuadorian National System of Protected Areas—which spans an altitudinal gradient of 30-4939 m. The pressures on this ecological reserve and neighbouring properties have increased in recent years, but can be stemmed with an ambitious plan now underway. The plan for 2019-2022: This ambitious plan will connect the lowland rainforests of the Canandé area to the foothill, subtropical and high Andean grasslands protected within the large governmental Cotacachi-Cayapas ecological reserve. 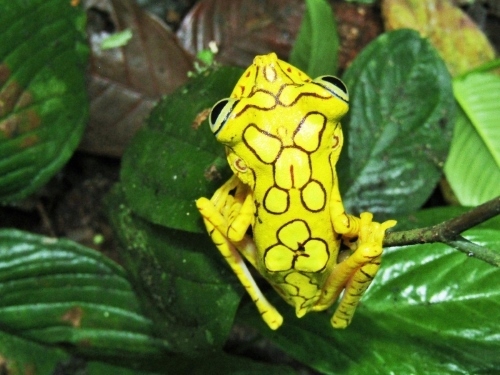 Nowhere else in the Chocó is the entire range of ecosystems protected along a large altitudinal gradient (100-5000 m). 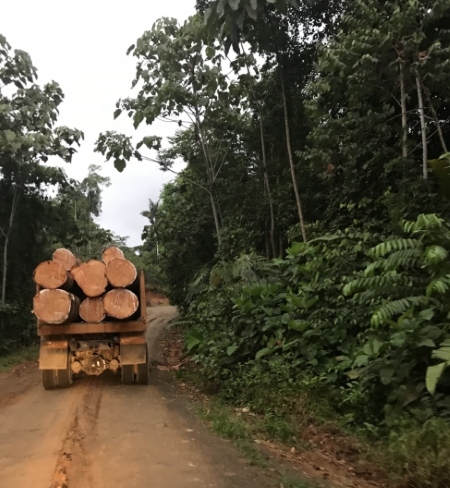 Key components: (1) Remove industrial logging from the Chocó by buying from a logging company 23,000 ha of key land along the only road into the region (indirectly protecting a much wider area); and (2) purchase strategic properties from individual landowners. 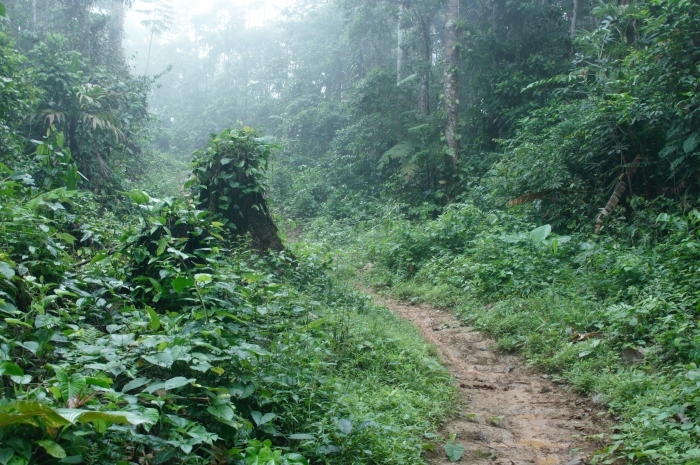 We will also: establish buffer areas with sustainable, community-owned forestry on 11,000 hectares; increase the number of park guards from 16 to 41, providing local jobs and effectively protecting the reserve; and establish the first research station in the Chocó, which will provide revenue to support reserve protection and management. ICFC and colleague Rainforest Trust funded the purchase of three properties totaling 170 hectares to expand the Río Canandé Reserve in 2017 and another four properties totaling 329 hectares in 2018. Now encompassing 6,798 hectares, Río Canandé is now the largest and best protected reserve in the Ecuadorian lowland Chocó region. With ICFC support, Fundación Jocotoco planted 211,754 native tree species on Rio Canandé and two other reserves in 2017. The Endangered horned marsupial-frog (Gastrotheca cornuta), was rediscovered in the Río Canandé Reserve in a herpetological expedition by the group Tropical Herping. 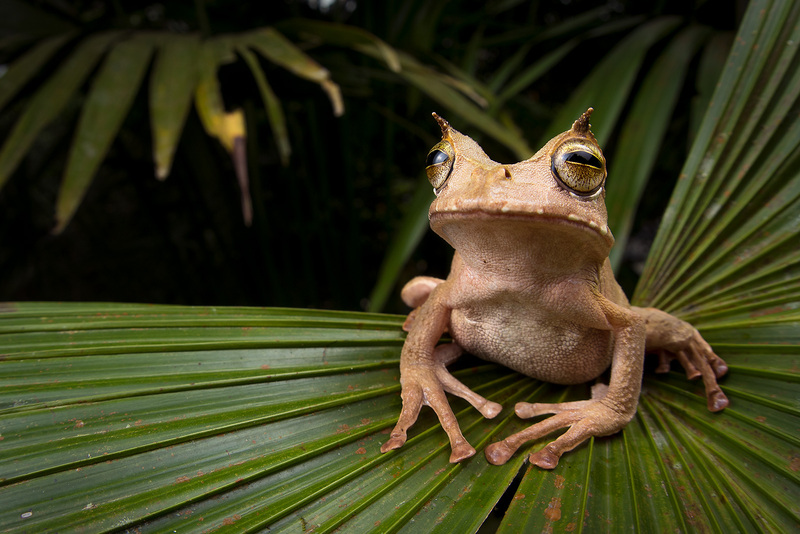 The frog, which once ranged from Costa Rica to Ecuador, persists in this yet untouched area of the Chocó lowland rainforest thanks to our efforts. Major staged purchase of 23,000 ha (from one owner); additional purchases of smaller properties (with the entire effort providing connectivity and protection of an area of about 4000 sq km (400,000 ha). Past work: We have added 499 hectares to the Río Canandé Reserve (which encompasses 6,798 ha). 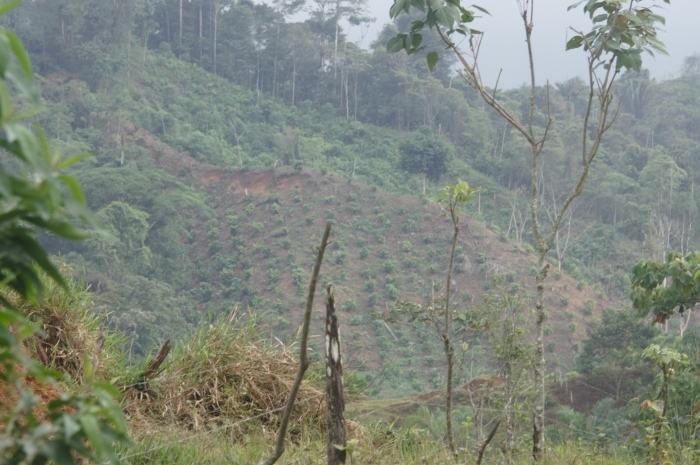 ICFC has committed US$400,000 for land acquisition in 2019. We believe this higher-than-usual contribution is warranted and we would greatly appreciate your support for this. Past: Combined cost to ICFC in 2017 & 2018: USD $201,536; USD $188,536 of which was matched 1:1 by an anonymous donor to Rainforest Trust. The Rio Canandé Reserve is situated within the Ecuadorian portion of the Chocó-Darién biogeographic region (the Chocó), an area which has been identified by BirdLife International as an Endemic Bird Area due its high number of Restricted-range Species (62) in the world. It is also part of the important Bird Area EC005 Verde-Ónzole-Cayapas-Canandé. 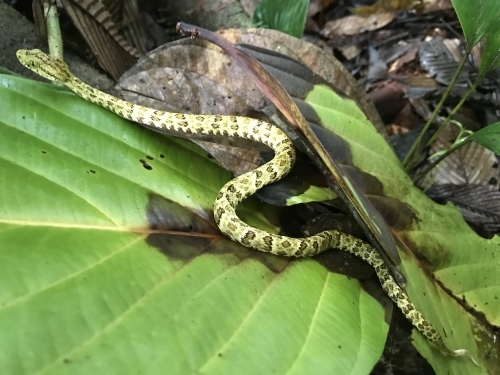 When it comes to amphibians and reptiles, the Rio Canandé Reserve is the most herpeto-diverse locality west of the Andes in Ecuador, and the most diverse in the Chocó region. 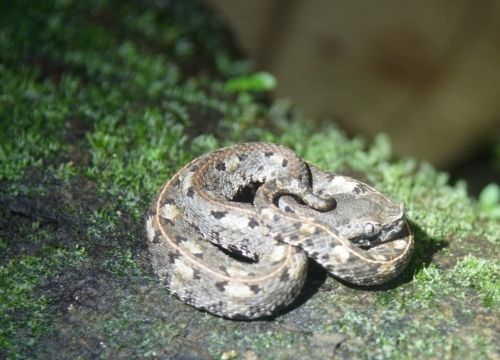 The Ecuadorian Chocó is home to 212 species of amphibians and reptiles, 134 of which are found within the Rio Canandé Reserve (Ortega-Andrade et al., 2010). 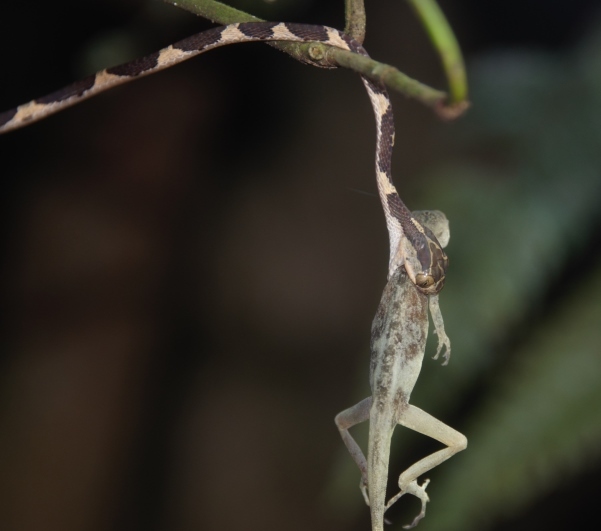 In comparison, richer communities of amphibians and reptiles in the Neotropics are only found in the upper Amazon basin i.e., 220 in Leticia, Colombia; 185 in Santa Cecilia, Ecuador; and 271 in Yasuni National Park, Ecuador (Arteaga, 2016). Furthermore, the Ecuadorian Chocó, and in particular the Rio Canandé Reserve, are special because 10% of their species are endemics. About 22% of the species known to occur in the Rio Canandé Reserve have not been evaluated by the IUCN, although some are likely to qualify as endangered, and 20% of species have been evaluated as Vulnerable, Endangered or Critically Endangered. 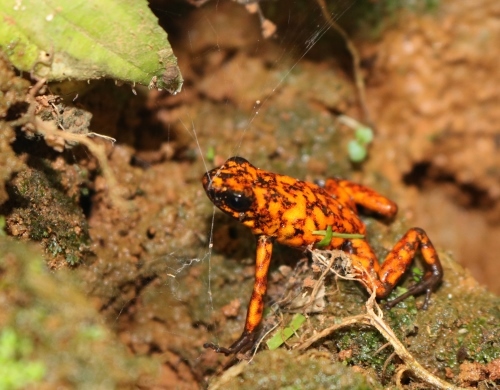 These include: the elusive and Endangered Mache Glassfrog (Cochranella mache), the recently described and Not Evaluated Nieto’s Rainfrog (Pristimantis nietoi), the Vulnerable Ornate Rainfrog (Pristimantis ornatissimus), and the Not Evaluated Dwarf-Gecko (Lepidoblepharis grandis). Lastly, the Rio Canandé Reserve area also harbours probably the most important population of the Critically Endangered Brown-headed Spider Monkey (Ateles fusciceps fusciceps), a subspecies of the also Critically Endangered Black-headed spider monkey (Ateles fusciceps). The Brown-headed Spider Monkey is one of the 25 most endangered primates in the world. 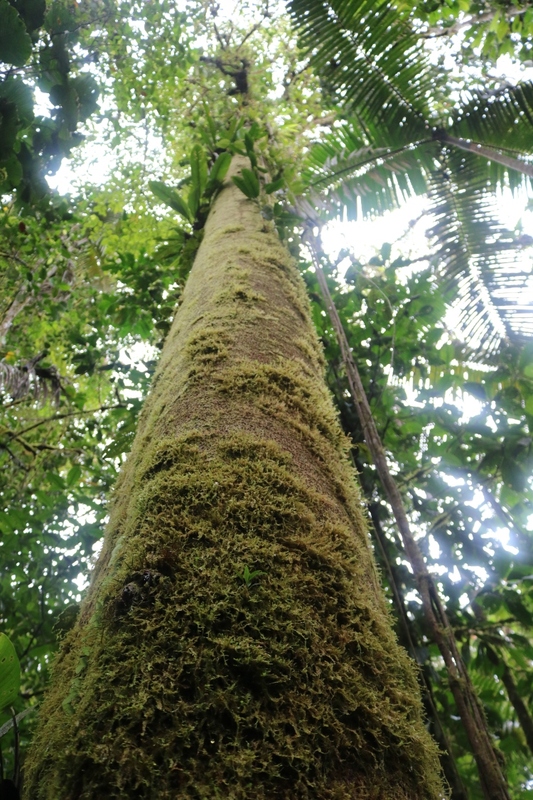 In addition, the Rio Canandé Reserve also harbours the largest population of one of the rarest endemic tree species in Ecuador, the Critically Endangered Ecuadodendrum acosta-solisianum, which is only known from two localities. Table 1: Threatened species protected by Reserva Rio Canande, with IUCN Red List designation: Critically Endangered (CR), Endangered (EN), and Vulnerable (VU). Plumbeous Forest Falcon (VU), Great Green Macaw (EN; at least 36 individuals. This is the largest known group in Ecuador), Scarlet-breasted Dacnis (VU), Baudó Guan (EN), Banded Ground-Cuckoo (EN), Brown Wood-rail (VU), and Plumbeous Hawk (VU).